THANKS TO EVERYONE WHO CAME OUT AND PARTICIPATED! The event seems to have been a great success and everyone had fun, the tournament ran smoothly and we made a lot of new friends!! On Saturday, May 25, 2013 we will be hosting the first sanctioned pinball competition event in Louisiana, entitled the “PinChurch Open”. 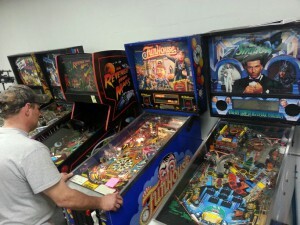 Sponsored and supported by Pascal Janin/Association Flipp, Jersey Jack Pinball, and Pinball Ninja! Location: The “PinChurch” – New Orleans, LA-area. The actual address of the venue will be made directly to all participants who RSVP by pre-registering below. For additional information, you can also contact: mike )at( mystickrewe.com. Doors will be open from 2pm ’til. THERE WILL BE A QUALIFICATION ROUND from 2pm till 5pm – Participants should show up at least by 4pm to be in the main tourneys – earlier is better. from 2-5pm will be qualifications where 2 games on each machine in each class will be played and top scores recorded. Highest 8 will advance at 6pm. Some of our members are bringing pot-luck food and snacks. Mike will have his famous crab gumbo & red beans and rice. We also may have a barbecue pit going. It’s BYOB. 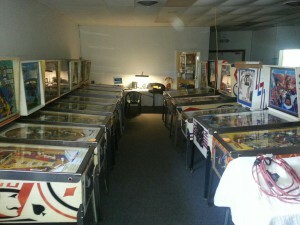 We will have at least 40 different pinball machines available for play including the six designated for the tournament. The tournament will be broken down into 3 divisions. There will be two games in each division. offer the option to buy-back-in to qualifications. Once the top X (8) are chosen in each division (Modern, Classic, EM) they will compete either head-to-head in double elimination or 2/3 in single elimination based on class and players. The higher-ranked/winning player (indicated by qualification scores or a coin toss if there is no qualification round initially) has choice of either: game selection or who-goes-first. all three divisions will probably be ranked higher than those who only play one or two division. (The overall ranking will be designated by a “point system” based on their standing in each division). In the event of a tie for first-thru-third, there will be a play off. Awards!! (really nice custom-plaques) will be awarded to first-thru-third place winners in each division. There may also be a cash prize for first place in each division. There may also be additional prizes for winners TBA. In addition to this, we will likely have a “winner take all” cash box game where one machine operates on coins, and whoever posts the high score by the end of the event, gets all the money in the coin box. 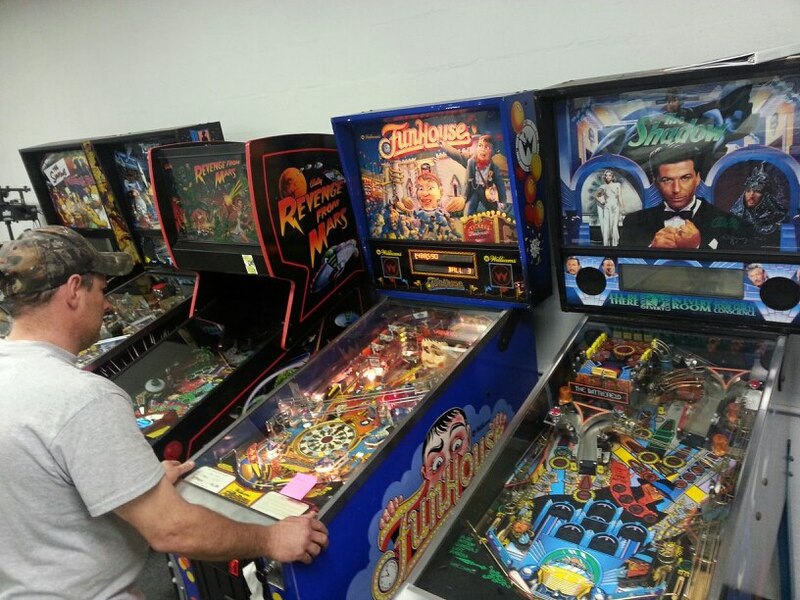 We could also do some other tournaments like a random-partner team play, but I’m hesitant to have too many things going on – but there are lots of possibilities, including tandom play with 2 people with one each working a flipper. Everyone who competes whether they play in one division or all three, will get WPPR points and their name entered into the IFPA database and get an international ranking. 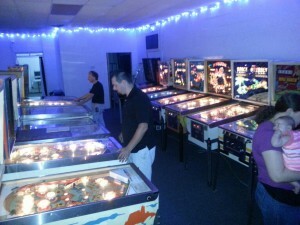 The top players will also be indicated as the best pinball players in Louisiana on the IFPA web site. We should have snacks and some drinks at the PinChurch. Although BYOB is strongly encouraged, and perhaps we could even have members bring some pot-luck food/snacks. Use the Paypal link below to PRE-REGISTER for the tournament and save $5 per division over registration at tournament time! Pre-registered contestants are also eligible for additional special prizes! If you are interested in playing in two divisions, select one, add it to the cart, then click “continue shopping” and add the other division. If you want to compete in all three, select the last option in the pull-down below. Hope to see you there!! The tournament is going to be lots of fun. We will probably also have live music, special guests and many surprises! If you have any questions or need additional info, email tournaments@mystickrewe.com.